Camping on hot, summer days is a favorite activity for many. One of the most essential camping items you will require is a tent. You will use you tent a lot to sit in to get away from bugs and sleep in at night. Most tents these days are pretty comfortable but they can get overheated in humid climates and feel like a hot sauna sometimes. Most people are not accustomed to a hot and humid climate, so it is difficult to sleep or even stay inside a tent without proper air cooling. If the campsite is powered with electricity, then there are many cooling options. But in case there is no power, there are many battery-operated appliances available on the market to cool the tent down. A tent air conditioner is the most cost-effective solution and makes a big difference while camping out the in heat. If the summer camping day is hot, then even an open meditation tent can be suffocating. After a whole-day-long outdoor adventure of hiking and trekking, your exhausted body needs a good night’s sleep. In such a situation, a hot stuffy tent will keep you awake at night and also keep you from outdoor activities the next day. The vigorous activities of a forest also affect the body temperature. The body needs to cool off at night to regain energy the next morning. Staying cool inside your tent is important for your body and proper sleep. There are many ways to get air circulation in the tent such as a tent fan or even putting up the tent in a shady spot to cool down the inner surface of the tent. However, nothing guarantees a good night’s sleep like a portable air conditioner. Tents neither have electric power nor have a centralized cooling system. For keeping cool in the tent, you need a generator, a campsite with an electric hookup, or air conditioning units that run on battery power. 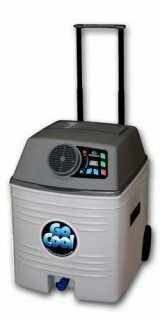 The portable battery-powered AC units have a capacity of cooling the room size of 50 sq. ft. to 250 sq. ft. For a 150 sq. ft. tent, you will need an AC unit that has a 5000 BTU rating to keep the tent cool. Any lesser BTU rating will not keep you cool enough all night. The bigger the tent, the more BTU rating is needed. Typically, battery-powered units run on 12 volt batteries and have a battery life of 10 hours on as low as 40W. These units usually weigh anywhere from 10 to 70 lbs. but their efficiency is in no way related to their weight. The weight is important just for the portability. The performance of each unit is different. Some AC units keep the tent temperature as low as 35 degrees Fahrenheit for just one hour while some hold the temperature for as long as 10 hours; it all depends on the model you buy. Moreover, in the woods the temperature dips considerably at night. So the AC unit does not need to use the same power to maintain a consistent temperature all night long. Once the tent is cool enough for you to sleep comfortably, the air conditioner can lessen the cooling power because the dip in outside temperature will then keep your tent cool enough. The AC units to be used while camping need to be moved a lot. So, the lighter it is, the better it is. If the unit is not compact, it will be very difficult to move it. The unit has to give a cooling effect in a small closed space. It has to be powerful enough to maintain the same temperature all through the night. The AC unit has to be as compact as possible. If it is too big, you will feel cold and damp. And if it is too small, it will cool only a specific area. You need at least 5000 BTU capacity for a good-sized family tent. 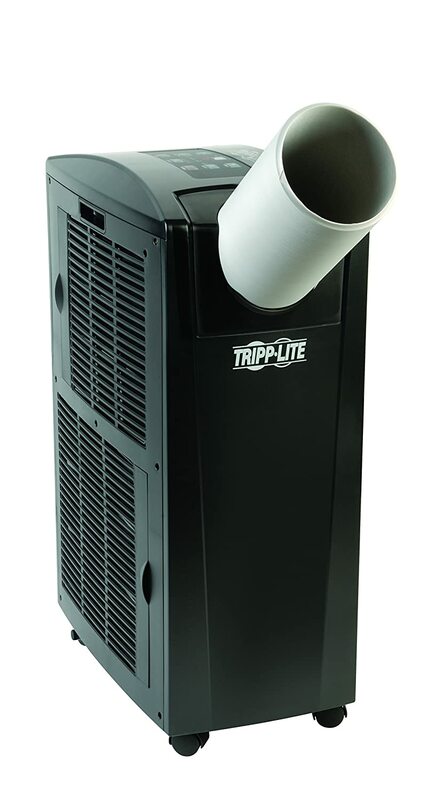 The three common sizes are 5000 BTU, 6000 BTU, and 8000 BTU. There are both types available. Window ACs have to be rigged to exhaust air through the window of the tent and are usually superior in cooling capacity. Room ACs are bulkier but easier to set up than the window ones. Moreover, they are convenient for using in houses also. Though the buying decision should be more dependent on the above features, price does make a difference. 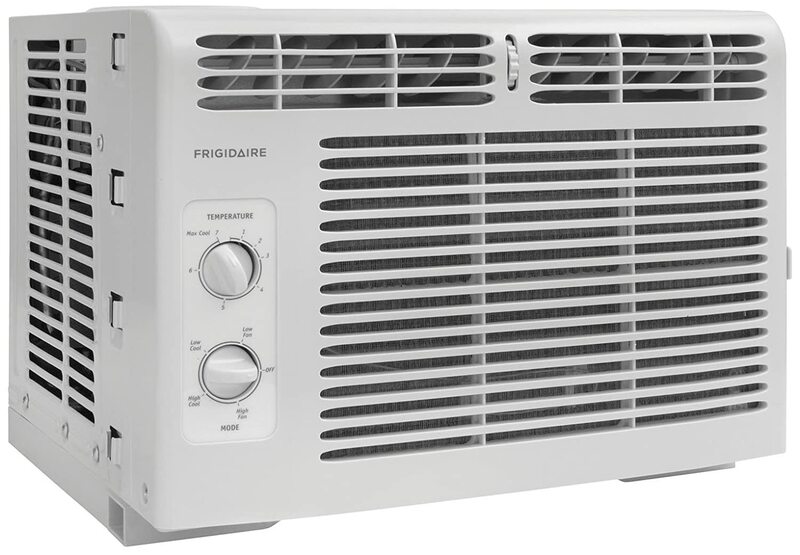 The best AC unit to buy should be reasonably priced and yet able to perform as expected. Read on to learn what to look for and for reviews of these and others! We have compiled a list of what we feel are the 5 best air conditioners that will keep your tent cool and dry during the hot, humid nights. Remember, these are portable and compact AC units so they can’t be expected to perform exactly like the ones in your house. They will, however, do a great job cooling your tent area. 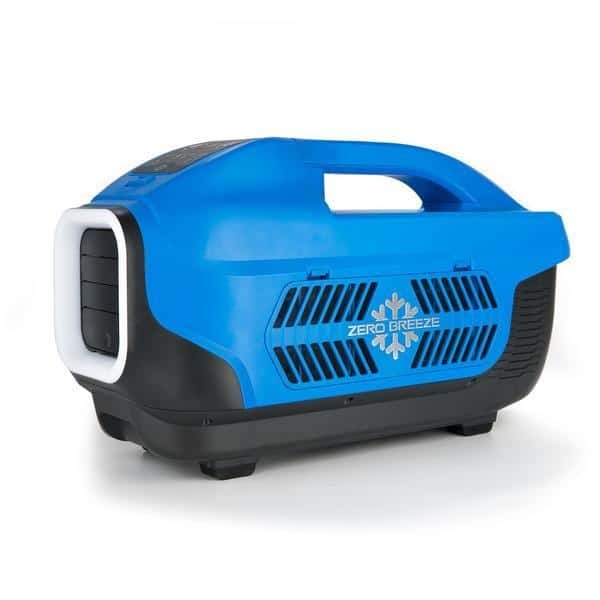 This AC unit for your tent is extremely effective in decreasing the temperature inside to a comfortable level. The product weighs roughly 12 pounds and can be easily carried around between tents or small vehicles. 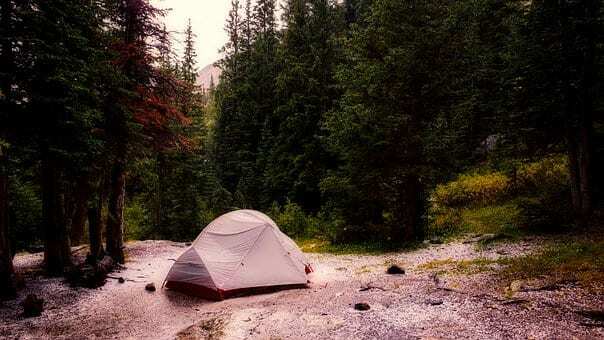 The built-in dehumidifier also helps get rid of that sticky or damp feeling that most campers tend to suffer from when camping during humid weather. You’ll be happy to know that the battery life of the unit is decent, as it lasts up to five hours, more than enough time to give you a decent break from those humid and scorching days. If you want it to last longer, you could easily use another interchangeable 12V battery and just charge the other until the new battery runs out.. This tent AC is fairly effective at cooling down the inside of your tent to a comfortable temperature. And you’ll greatly benefit from the lightweight design that allows you to carry it around anywhere without any hassle. 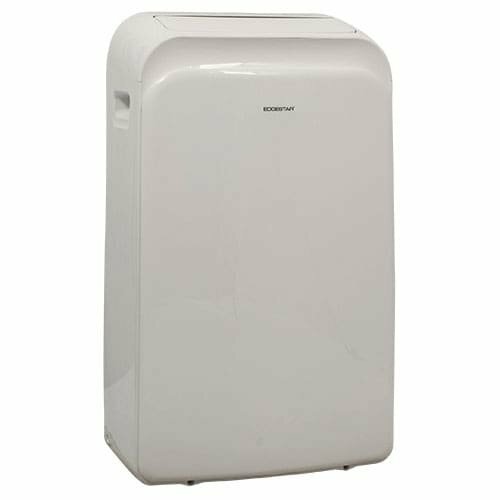 For such a small product, it’s incredible that you have the huge advantage of having a dehumidifier built in with a continuous drain option which means you can use it as long as the battery is charged. The battery life is another advantage, as it can last up to five hours, as well as being interchangeable, meaning you can keep it working for a lot longer if you have a backup battery. The only downside is the awkward ventilation option, you’ll need to make sure that the venting is pointing outside of your tent otherwise your tent will become a huge puddle by the morning due to the dehumidifier, as well as causing the interior to become warmer due to the compressor spewing warm air into the tent and not outside. As long as you find a decent position for your AC you’ll have the full benefit of this product and you’ll be really happy with the results. Very lightweight, this unit weighs only 35lbs. It conserves power as it needs low voltage to start. It has a 5000 BTU rating and uses a 115V electrical outlet. It could be easily mount through the window or baggage slot of your tent. The unit runs on electricity and does not need the hassle of water or coolants. The AC is very quiet and has 2 cooling and fan speeds and 2-way air rotation. This compact window AC is light enough and small enough to be the perfect choice when you want real AC comfort in your tent. It has been a consistent best-seller since it is both inexpensive and a performer. It is built with self-evaporative technology. It also has a remote control and a 24-hour timer. The body is built with LED display and has electronic controls. Along with cooling mode, it also has dehumidify and fan-only modes too. The temperature ranges and noise levels could be altered. The EdgeStar unit is multi-purpose unit with a dehumidifier option. The best part of this unit is that it is very easy to carry and can easily be enjoyed in the house too when you are not out camping. It also dehumidifies the air. It uses a power source of 12V. The batteries could be recharged. It has 2 coolness settings – high and low. It can hold 40lbs of ice and 18 litres of water. The unit comes with a 6 feet drainage pipe included. The unit isn’t heavy, but water is. This small cooling device chills enclosed places using ice water. It needs to be filled with ice water and works on batteries. The unit has space to hold bottles of water and containers of ice. It comes with its own fuel storage. It has 120V AC input. Very lightweight at 35 lbs. It has a standard 15-amp outlet. The structure and closed cooling save energy if you’re using a generator. 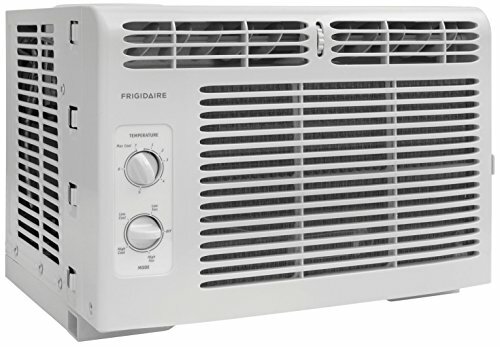 This air-filtering, dehumidifying, compact window AC is a perfect fit for tent cooling. It has the feature of automatic restart in case of outages. It has an intelligent auto-mode. It is very compact and easy to move. 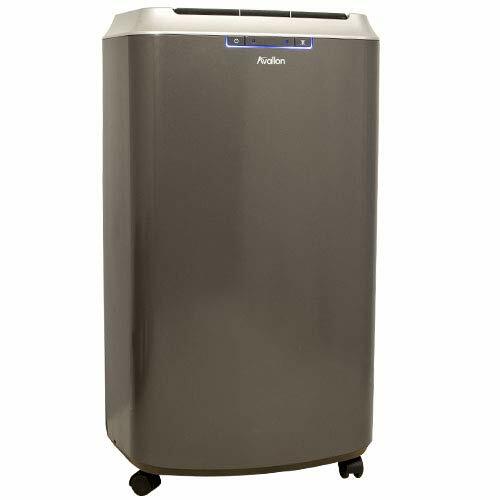 It has 3 modes – cooling, fan, and dehumidification. It has options for direction in which the air is discharged. This unit also turns into a heater in case of use during winter camping. Runs slightly loud - in the tiny space of a tent this could be an issue. On the other hand, the sound will more easily escape through the tent than it would in a house. This sleek-looking portable air conditioner is the ultimate choice considering the features as well as capacity. With its heavy capacity, it can also cool larger tents. It is an intelligent AC with an invisimist feature that evaporates the water and does not need drainage. A good tent air conditioner needs to cool the tent area completely and have more than one mode. One that has cooling, fan and a dehumidifier is ideal. It also has to be lightweight and portable so it can be carried to and from the campsite easily. 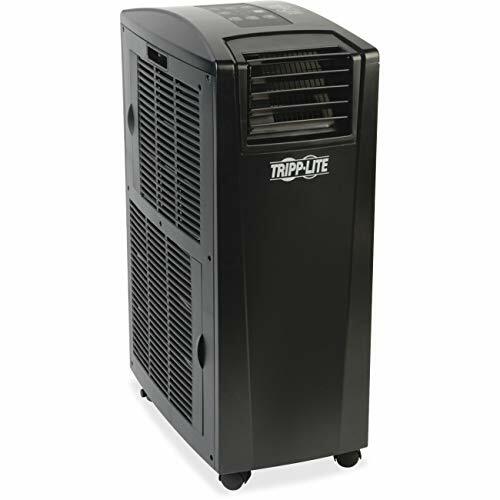 Each of the AC units we have reviewed are among the best air conditioning units for tents because they have the necessary features required for camping. Depending on the amount of power you need and the price you are willing to pay, there is a air conditioning unit available to suit your camping needs that will meet your budget. A good camping air conditioning unit can make a world of difference on the enjoyability of your camping trip. Camping in the winter? Check out our buyers guide for tent heaters.